Pamplico Hwy. 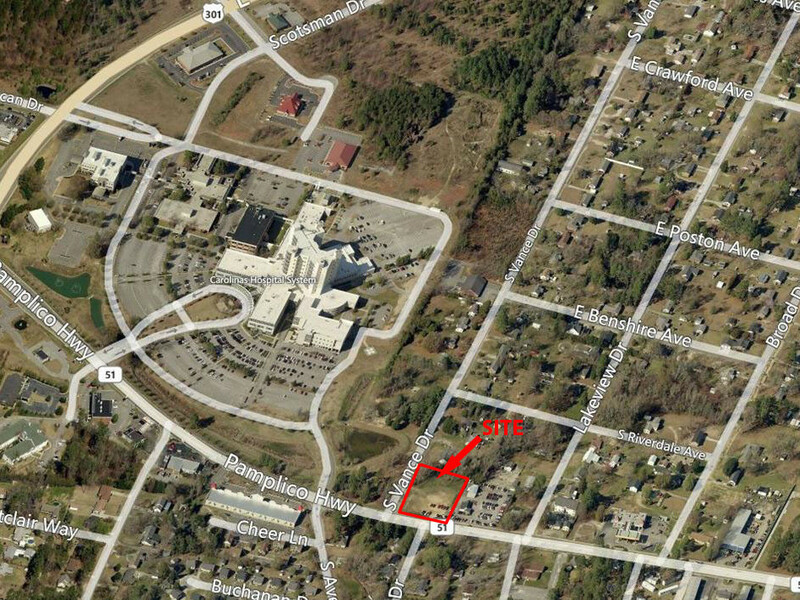 & Vance Dr.
For Sale All Locations, South Carolina, Florence Pamplico Hwy. & Vance Dr. This +/- 1.12 acre site is located on the south side of Pamplico Highway (S.C. 51) just beyond the Carolinas Hospital campus. Immediate neighbors include service companies, home suppliers, restaurants, etc. The site is situated between Pamplico Highway’s retail hubs at Freedom Blvd and at Claussen Road and would be ideal for professional, medical, or a family variety store. The parcel has approximately 194’ frontage on Pamplico Highway. City of Florence water and sewer services. The SCDOT 2012 Average Daily Traffic (ADT) counts show 26,600 vehicles per day in this area.